Our research shows that young people are often mystified by the targeting of Jews for mass murder – this activity shows how teachers can work with the film Roots of antisemitism to uncover the origins of this ‘longest hatred’, and to explore continuity and change from medieval anti-Judaism to modern antisemitism. It provides essential knowledge and understanding to counter common myths and stereotypes of the Jewish people. Find out more about the teaching resources you will be able to access after attending one of our ‘Unlocking antisemitism’ workshops. one documenting the arrival and selection for murder of Hungarian Jews at Auschwitz-Birkenau, the other a series of photos of the perpetrators of this crime at rest and play. but what do they really reveal about the Holocaust? 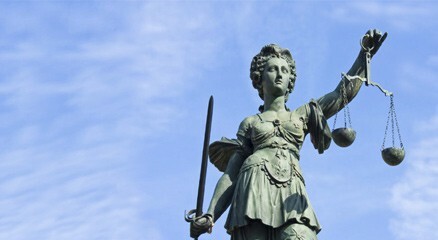 Exploring issues of legal and moral justice, this powerful series of lessons and educational materials are especially relevant for teachers of citizenship and history interested in the legacy and continuing significance of the Holocaust. The diary of Anne Frank is often used as a ‘way in’ to studying the Holocaust. Anne is also an iconic figure in popular culture; interpreted and reinterpreted, in a range of media from plays, films and TV through to Japanese cartoon books. This workshop, specifically for English teachers, uses Critical Discourse Analysis to explore several of these representations and to highlight the tensions that exist between the popular ideas about Anne Frank and what she actually wrote. This reveals a more nuanced and profound writer who still has the power to shock some people. Our 2015 research highlights a significant lack of student knowledge and understanding surrounding British responses to the unfolding genocide. The most popular thinking amongst students surveyed, for example, was that the Holocaust was the trigger for Britain’s entry into the Second World War. This session models lesson ideas and resources based on archival material to engage students and help them construct a better understanding of events and the issues involved. The core session has a historical focus, encouraging students to construct an understanding of Britain’s role as events unfolded. A key element of this is hands-on use of archival evidence to give voice to the responses of a range of groups within Britain; The National Archives, The Weiner Library, Mass Observation, the Ben Uri Gallery, the Churchill Archives Centre, and the Imperial War Museum all provide evidence of how different groups responded in different ways at different times. Around the core session there are also optional approaches developed for History, around the historical skills involved in looking at archival evidence, for Citizenship around issues of realms of responsibility, and for approaches in assessing student understanding. 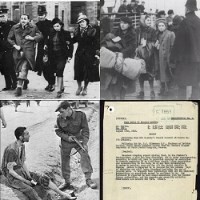 “British Responses to the Holocaust” is a modular set of lessons and resources. The core part is a 2-hour session delivered through a History framework. There is also a 1-hour connected Citizenship lesson, and a 1-hour additional History lesson looking at the practice of looking at archival sources, that can be booked in additional to the core lesson, or as stand-alone sessions. Our Core CPD day is our principal introduction to the key issues in Holocaust education.